Ga-Lac-Ta-Goges…increasing your milk supply since…like, forever! First time I read that word, I thought it must be a joke-word. Surely someone made it up, right? That’s not a real word…Maybe just a bunch of buddies came together and got you to say a made-up word for a giggle. But t’is true: it is a word. It’s a real thang, and it is a thang that could have you singing its praises if you’re a breastfeeding momma suffering a bit of a dip in your supply. It is essentially refers to any herb or food that could assist in regaining/increasing your breastmilk supply. I know due to an unexpected visit from the mastitis monster with our second beast and also due to major sleep deprivation with our first beasty (despite my usual over supply that I have with breastmilk), I found myself desperately looking ways to up my supply. In fact, with the mastitis bout, I literally didn’t even have a drop of milk left in me. Seriously, like nothing, nothing, nothing!… But with a little bit of help from these concoctions, a lot of support from hubby and my mom, and an inordinate amount of personal headstrongness, I got my supply back!!! And you can too! But before I go on with listing these “magical” formulas, lets be clear: there’s nothing that’s going to help your supply quite like regular , efficient and frequent emptying/removal of your breastmilk. If you’re not doing that, then not even a real magic formula is going to help you! So, the lesson here ladies is: feed often, pump often – whatever. Whichever way you’re choosing, just ensure you’re emptying the breast as best as possible. As you may have read up, milk supply works on supply and demand. By emptying the breast frequently and regularly is HOW you create that supply. Like, oh say, you want to feed more regularly, but baby hates the fact that she has to work so hard to get the milk to come (often low supply equates to slower milk release – oh, the cruelty of that irony!) Or maybe baby just doesn’t feel like feeding now. So pumping is your option. But then pumping may also be leaving you with a similar inadequate, whilst misplaced, very real feelings. Galactogues to the rescue! Another thing BEFORE I get into the nitty gritty: establishing that you indeed do have a supply issue is very important before you delve into the galactogogue territory. There are ways to establish this – watch this space for that post, or in the mean time, Google is your friend, as always. Or, which is always first prize, go to a professional lactation consultant who can check your feeding techniques and emptying frequency, etc. Not ruling this possibility out, especially if it’s a matter of inefficient removal of milk, could result in terrible consequences – like mastitis. In fact it could also just be that your pump needs a bit of a service, thats all…There are a myriad of possibilities, so do your homework first. Ok,now that you know, lets get into it! So, plain and simply, galactogogues aim to help your body increase its milk production. I would like to say Ive tried every bloody option out there, but that wouldn’t be true…But it ssssure felt like it. A lot of them I couldn’t track down here in Cape Town. So I will share the ones that I have used, as well as my experience with them, and then list others that you could try – as you may have better luck tracking them down than I did. 1. First up: Fenugreek. These little herbal/natural capsules DO , in fact, work. I say very emphactically from a personal experience alone. Their efficacy may not have been that obvious to me with my first beast, when my supply dip was minor. But they sure showed their shine with my second one, when I really had nothing left in that milky tank. The trick is to always remember: regular and frequent removal (feeding/expressing) of milk, along with proper dosage of fenugreek. Now you ask, what is a good dosage? Well that’s best left up to a professional to advise you on that, which would be specific to your particular case. But, normally they would start you on 2 capsules, three to four times a day. If no improvements are noted over two to three days, you up it to 3 capsules. Still nothing? Then up to 4 capsules, 3 to 4 times a day. Basically, they say when you start smelling like maple syrup, you know you’re doing it right. Honestly, Ive never actually hit that point yet, but definitely saw the improvement. However, that’s just me. You may indeed end up smelling like a maple syrup factory. But, hey, in the name of upping the booby milk, there are worse things to endure than smelling like delicious waffle toppings. Capsules are easy to consume, with no foul taste to endure. Most health stores should stock them , however I ALWAYS had luck at Simply Natural out at Canal Walk, and a few times at M-Kem out in Bellville. By the way, these worked wonderfully when teamed up with my home baked lactation cookies!! 2.Milk thistle – I tried these with our second baby, because, I was pretty desperate to get my milk back, so I kinda like made my hubby buy everything the health store had! Now, I don’t know whether I go the dose wrong, or maybe I wasn’t patient enough,(and I’ll be the first to admit, my patience was less than thin at the time) but I didn’t have too much success with them. You, however, may just strike it lucky. I didn’t. The taste is not bad at all, and its easy to consume with water, if not maybe a little on the big side. Milk thistle is widely available – I found some at Clicks, at Diskem, and all health stores I popped in at. 3. Beer – So imagine how charming that is (not exactly the poster child for mother of the year): there’s me in my jammies (still), cradling baby in the one arm, and using my free hand to cracking open the guiness from the six pack my hubby bought especially for me. Yes, me the breastfeeding momma, pouring myself a beer, and its not even 8 o clock in the morning! Shocking? Maybe. Desperate? Yes! So apparently the hops is what is purported to have a positive effect on one’s milk supply. But 2 guiness later, with regular pumping, I personally saw very little increase in my supply. Maybe only slight,but not significant enough for me to continue with it. This beer drinking thing was not a willing choice I made, by the way, which was pretty evident form the contorted faces I was pulling as I slugged it down (how do men find this enyoable?!). I remember my mom watching me from across the kitchen table, with a “the things you do” kinda look. I offered her some…I didn’t want to go endure this on my own, but she wisely refused. End result: not much increase, but I did have to pee a lot.Also there was a study done which points to the fact that beer in fact negatively affects the taste of milk, which results in the baby drinking less than usual. Which is opposite to what we’re after here. So its your call. I hated the taste, was not comfortable with the alcohol levels of beer, and thus, didn’t bother to try it with baby number 2. I have not met other women who have tried to to verify their experience for me though. Although, some of my friends and family swear by ginger beer.(?) May be up your alley though, if you do enjoy a stout. But,lo and behold, it ALSO didn’t work for me. After about seven days on it, I saw absolutely no increase in my milk..(wtf, right?) Turns out, I am in the tiny majority of women for whom Eglonyl does not work. Three of my friends however, swear by it, and saw major increase by second and third day already. They were also feeling totally chilled out, and able to sleep better. I did not. I was highly stressed by my supply issues, and was far from sleeping well. Im so special. Whoop whoop. Not. Eglonyl can only be received through consultation and prescription, and those puppies come with another world of side-effects that I think would make your milk supply issues feel like sweet dreams and unicorns. Like, oh say, depression iself! As if my supply issues werent depressing in itself. (Hence I quickly weaned myself off. I was not going to stick around to find out about it) I would personally recommend that this be your very very last resort if you really need it. 6. Red raspberry Leaf tea – I tried this with my second baby only, and have got to say, I saw no genuine improvement either. They did have super effectiveness with my labour though! (read about its almost instant effect on me here.) Tastes like brewing herbs would (if you enjoy green tea, you’ll have no problem swallowing this tea). You can find them at most health stores. I got mine at Simply Natural, (some) Diskems, and a random health store out in Tableview. 7. 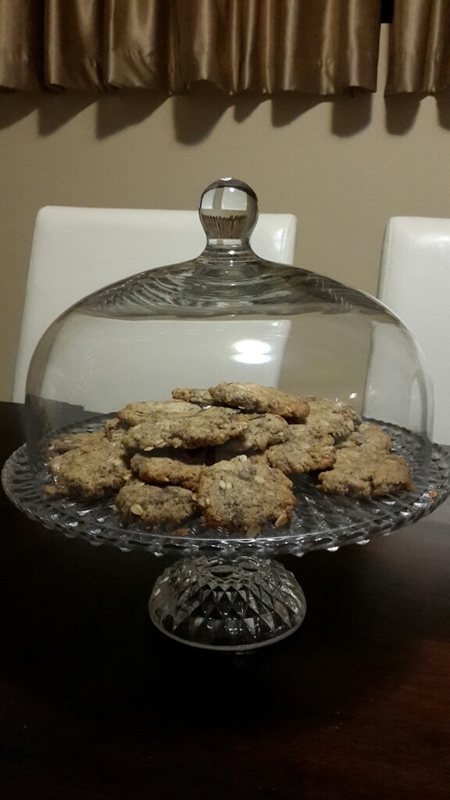 Lactation cookies – I know, it sounds like a trick.Right? Advice that says you have to eat cookies? Like, too good to be true. But when I say that I found a recipe that works, mama’s,just take it and run…while you chow down on them, of course! Because really, I found them pretty effective, as well as delicious. Read more about them below, or for the recipe, go here. Just remember, the regular meals are not so much for increasing milk production, but more to ensure Mom’s well-being is taken care of! It aint eay being a momma, so best you take of yourself,hun! -And for this one, you may just love me for recommending this, but stock up on cookies!! No,not your regular good ol’ chips ahoy, Im talking lactation cookies! These babies work! And they taste awesome! For the recipe that I used go here. And to see the results of how well they worked for me, go here. And just as I recommend in that blog post, used with fenugreek, they have amazing powers on your milk supply. Just trust me on this one, they freakin work!!! –Toss the feeding schedule! Seriously, you’re only doing your supply harm, and depriving baby of milk that baby is clearly needing. The only time a schedule makes sense, from a baby-centric view, would be if baby was NOT feeding well enough, or regularly enough. Now please note I AM not a professional lactation specialist (although, maybe one day…) I’m just a mom who’s suffered through terrible times of low supply and even complete stop of supply. Ive battled my way through it through the help of professionals, incredulous amounts of research, googling and calling up all sorts of medical professionals…And am now merely sharing all that I learnt along my journey. I always advocate that you go to a professional Laction specialist for all and any breastfeeding issues…Please note, not just any ol’ nurse or doctor, or well meaning loved-one, but a trained and qualified lactation specialist. The difference is huge! However, if you first want to do a bit of DIY before you go that route, or maybe you just cant afford it, then I hope to shed some light on the matter for you through my experiences, and offer you some beam of hope that you can overcome any supply issue that you may be experiencing. Good luck mamas! I know its tough, but you’re doing great!